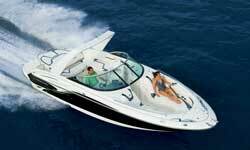 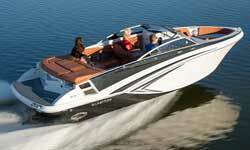 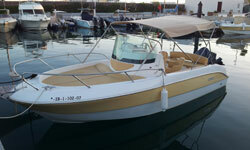 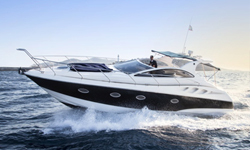 Top of the line Sea Ray with lots of extra equipment is thought enough to handle 11 passengers onboard. 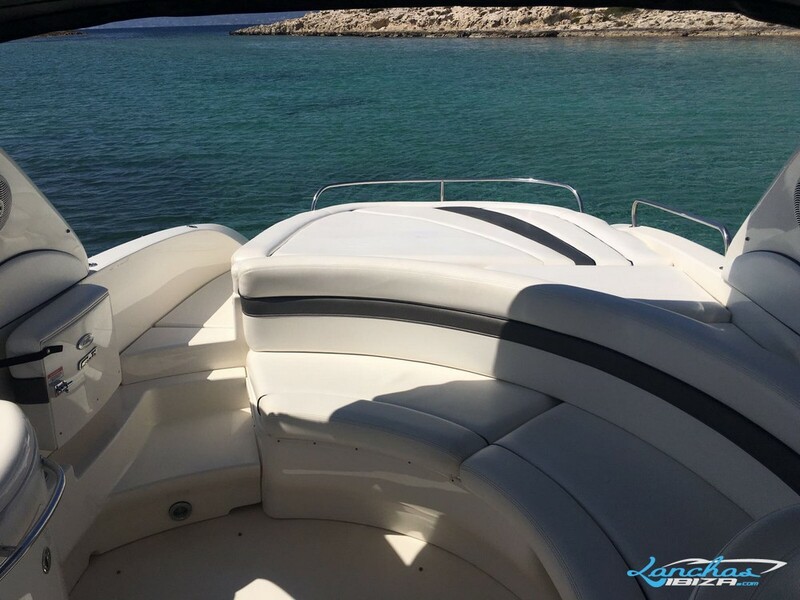 The integral swim platform with ladder increases the usable space even more. 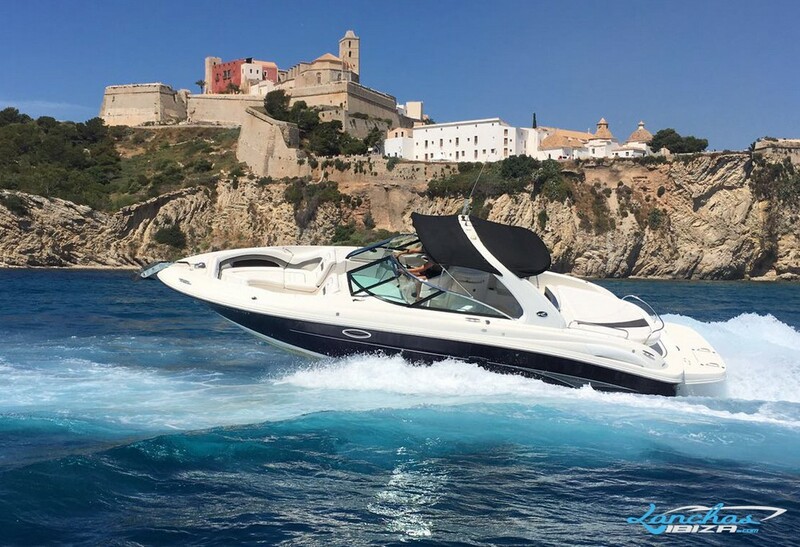 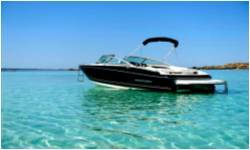 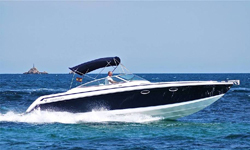 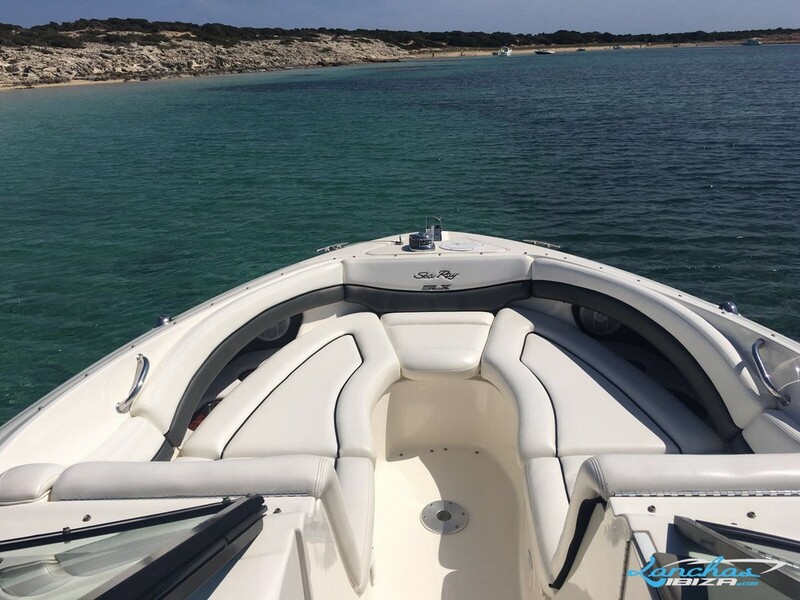 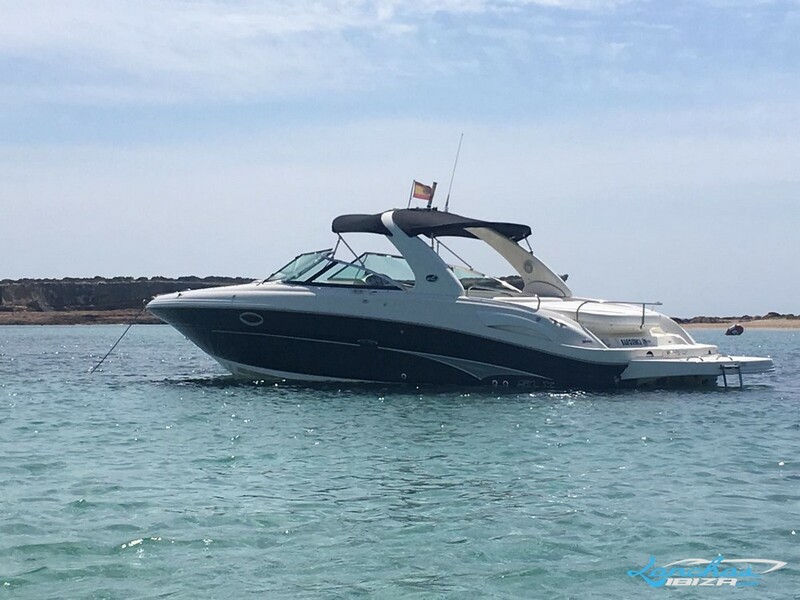 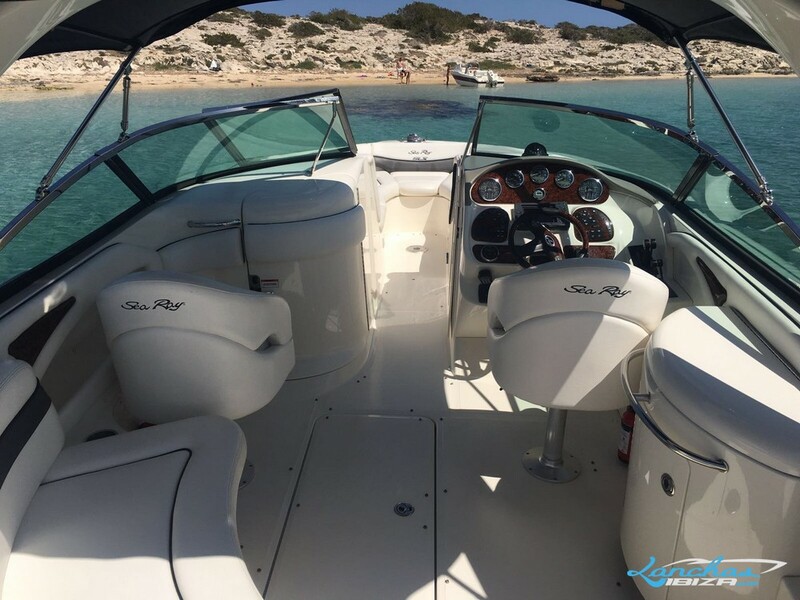 The boat is perfectly equipped with electronic commands, Smart Craft Vessel View, bimini top, power anchor winch, fresh water pressure and shower, vacuflush toilet and sound system.